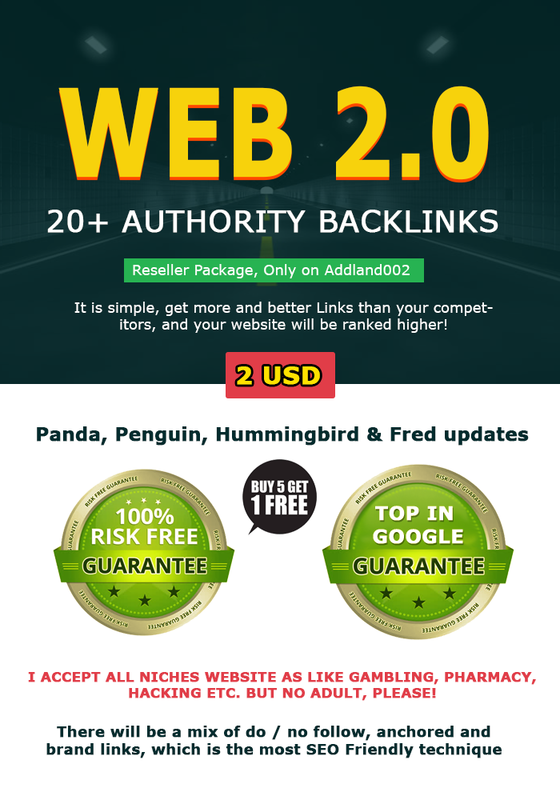 Many services in the market provide black hat links, and your website is raised up. However, when Google bots come, they will push down to your site. Thank god white hat links are not like that. Google approves it. We've helped thousands of marketers rank on the first page of Google in the most competitive markets. Let us do the same for you. - We spin TITLE and DESCRIPTION if you provide it in spin-tax. - Our professionals will ensure that each submission is a search engine friendly. - Our priority is to submit your links in High DA/PA sites. - We provide permanent links with 100% approval rates. - We save you precious time and energy. 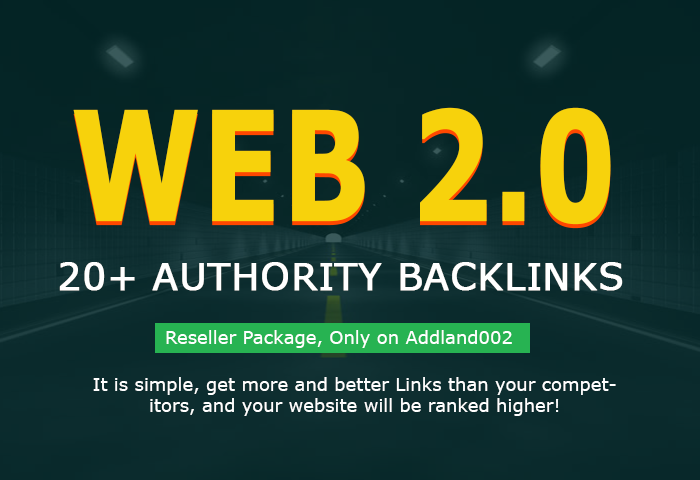 add 20+ Web 2.0 High PR Authority Backlinks within 24 hrs is ranked 5 out of 5. Based on 22 user reviews.